Have you been doing research on Shanghai Bangying Industrial Group Ltd located in China sells Excavator? If so, read on below to read one buyers experience when trying to buy Excavator. I bought three machines from this supplier, they send us very nice pictures through emails, but after payment they shipped rubbish machines to us. We have never seen machines in such bad conditions, and they are Chinese copied machines with CAT stickers, not original caterpillar. If you decide to buy used equipment from China, please do not pay any deposit before you check the machines personally. Need More Info on Shanghai Bangying Industrial Group Ltd? 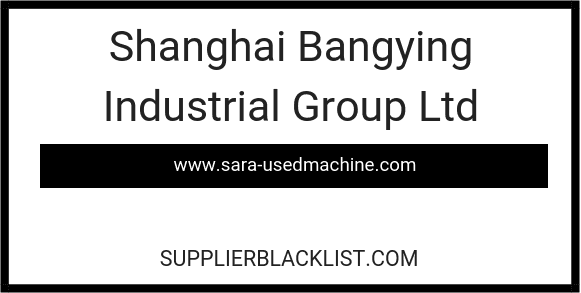 If you need more information, you can click the below links to search for more submissions about Shanghai Bangying Industrial Group Ltd on Supplier Blacklist as well as go to the search results page on Google for more reviews online about this company.